In order to provide our clients with a seamless transfer of electronic ad material, each piece of creative is subjected to a rigorous pre-flighting and trouble-shooting exercise. 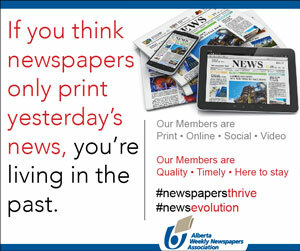 We realize and appreciate that a huge investment is made in the 'creative' for community newspaper campaigns. For this reason, we want to take every step possible to ensure that the material is reproduced and appears as it was intended. From the time we receive your material, it undergoes a battery of checks during the pre-flight stage to virtually guarantee proper replication newspaper by newspaper. When we're confident that ALL publications planned for the campaign are ready for your material, it is posted to a secure ftp site where the newspaper can retrieve it. It is, however, understood that not all campaigns are created equal. In the event that your material requires special attention, or minor modifications, AWNA is at your service to fix or advise of technical problems on your behalf. Clients are asked to provide AWNA with as much lead time as possible when it comes to 'special circumstance' projects. All material should be sent in PDF format to material@awna.com. Files too large to email may need to be sent via FTP. Please email for login details. All fonts must be embedded. We prefer that you turn subsetting off. Best of all would be to convert fonts to outlines, but this is not always possible, and may increase the file size to unreasonable values. When possible, use Type 1 Postscript fonts instead of Truetype fonts. Please do not use CID (AKA OpenType or Multi-byte) or Multiple Master fonts. Distiller should be set for BICUBIC DOWNSAMPLING to 200 dpi for Colour and Grayscale Bitmap Images, and 600 dpi for Monochrome Bitmap Images. Grayscale and colour images should be compressed using ZIP compression and a quality setting of 8-Bit. Please do not set image compression to JPEG or AUTOMATIC. Black and white line art images should be compressed using ZIP or CCIT Group 4 compression. Please provide a composite (CMYK) version of any process colour ads. Pre-separated files are not acceptable. Please provide a CMYK composite file. Pre-separated files are not acceptable. Colour settings should be set to LEAVE COLOUR UNCHANGED. Overprint settings should be PRESERVED, but turn off UNDERCOLOUR REMOVAL, TRANSFER FUNCTIONS and HALFTONE INFORMATION. Turn off PRESERVE TRANSFER FUNCTIONS. Please do not enable any security settings. Proof your PDF. Please print and review a copy of the finished PDF file before submitting it. Check particularly to ensure that fonts are embedding properly. Acrobat Professional users should check the colour separations using Acrobat Professional’s colour separation tool. Please do not use colour of any kind in a black and white ad. Do NOT assume that newspapers will print your ad in grayscale to remove colour. Your ad may appear on a page that is being colour separated. Acrobat Professional users should check the colour separations using Acrobat’s colour separation tool. In Distiller’s Advanced Settings, turn on PRESERVE LEVEL 2 COPYPAGE SEMANTICS. PRESERVE OPI INFORMATION must be turned off. PDF files, by definition, are compressed. However, it is not a bad idea to archive (zip) prior to transmission to avoid corruption during transmission. If you have any questions please do not hesitate to contact AWNA’s Display Ad Coordinator by phone at (780) 434-8746.